West wouldn’t be able to exist without the care & generosity of our volunteers. From working the bar and making sandwiches for the players, through to writing for the programme and working on our marketing, Brookburn Road is dependent upon the free time given by people in our local community. If you’d like to get involved with volunteering at West, we would love to hear from you. 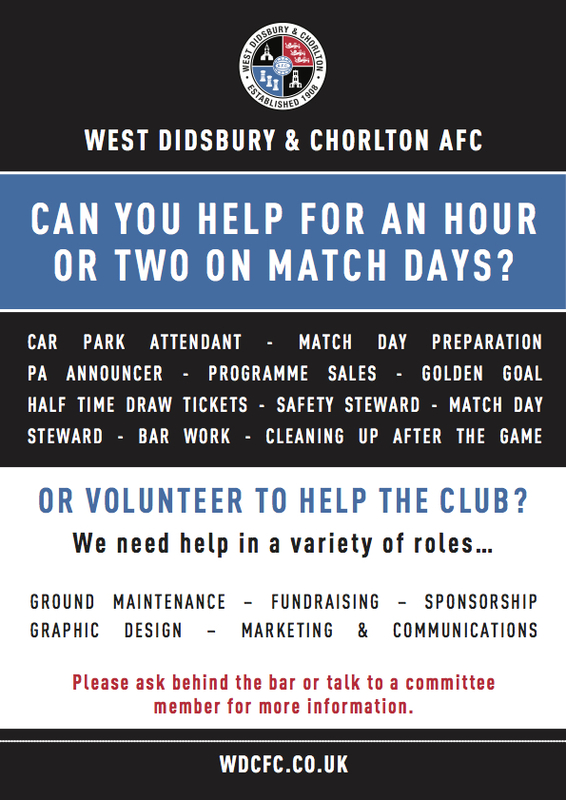 Whether you’ve got a specialist skill you’d like to offer, or you’d just like to chip in where needed, whether you’d be available every week or once a year – every extra person makes an enormous difference to what we can achieve as a club.